Log into your Meal Mentor account and from your Dashboard you can access your past meal plans. If you are an existing member, you can access all the meal plans under your current membership period. 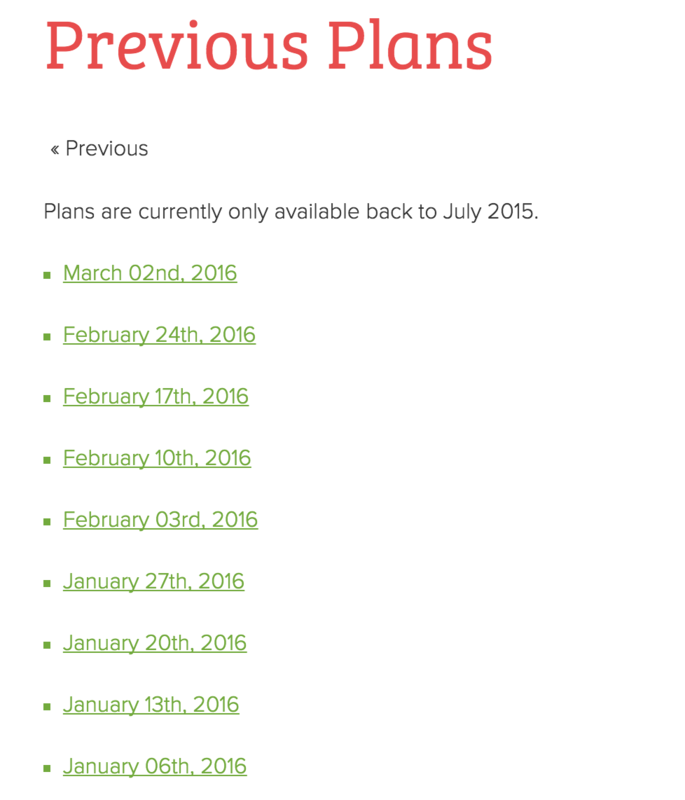 For example, if you became a member on August 1st, 2015 you will have access to all plans from that date forward. We ask for your phone number in case we ever have issues with your membership and/or we are having problems emailing you. If you've forgotten to download your meal plans they always are available for you online. 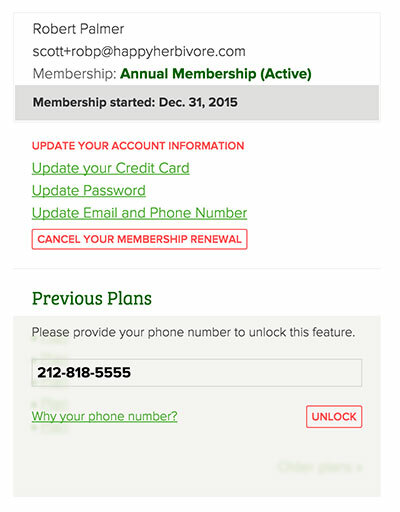 Previous plans only go back to July 2015 or when you started your membership.